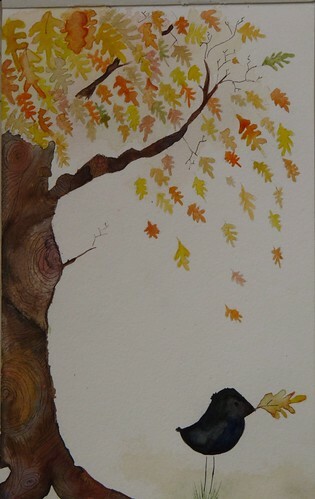 A gorgeous and sweet autumn painting! And I really liked your laziness interpretation as well - be careful though, that little birdie seems intent on waking you up! OHMYGOSH! i'm so loving the sketches! you're very talented there. are you going to make some prints for sale?